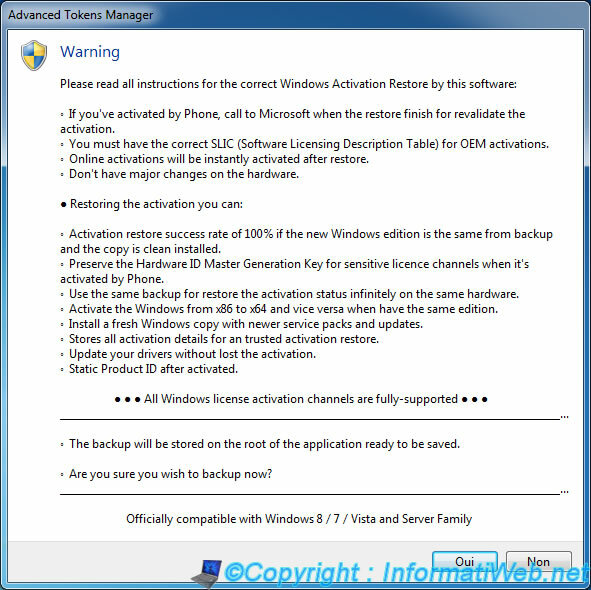 This little trick allows you to save the activation of Windows can restore it on the same computer after reinstalling (the edition of Windows must be identical). - This method only works on Windows Vista, 7 and 8 (and the corresponding server versions). - It saves you exceed the number of activations online your Windows license. This type of program is useful if you have recurring problems with your pc which require you to reinstall Windows too often. For example tests. - Legal : This method is legal in the sense that it can restore it to the same computer and not on another (understand : different hardware). - This program requires "Microsoft NET Framework 4." To work. Before you start, download and install "Microsoft. NET Framework 4" (Web Installer or Standalone Installer). 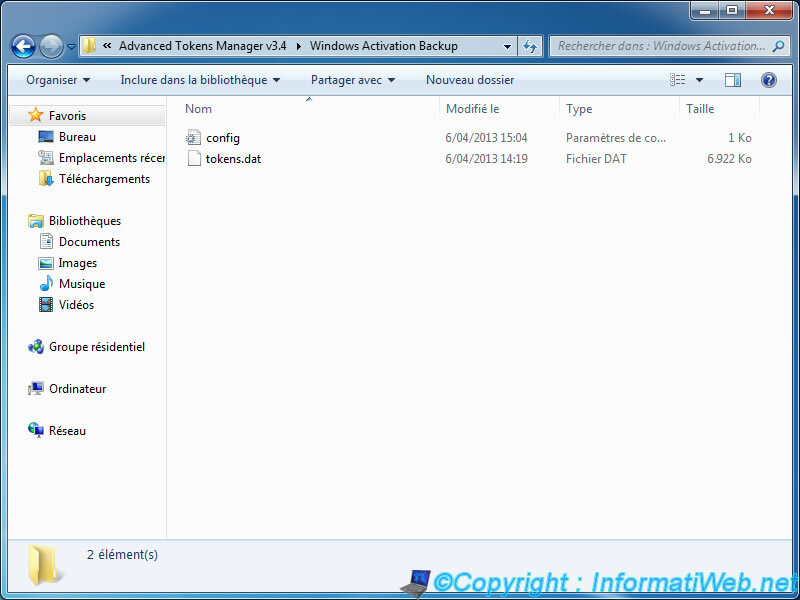 Then, download and run "Advanced Tokens Manager" (direct link). At launch, the program will check if your license has been activated. If this is the case, you can save the activation by clicking on "Activation Backup". Note : For security reasons, we recommend that you copy your serial number that is displayed in the "Product Key" box when the restoration would not do correctly. It's also possible to recover it via "Speccy" or "AIDA64". To do this, read our tip "Get the serial number of Windows". The program displays a number of terms and explains how it works. 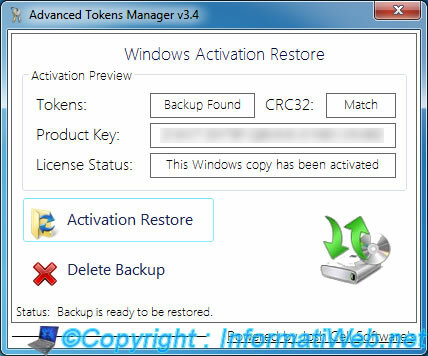 Once the saved activation, the "Activation Backup" button will be renamed to "Restore Activation". 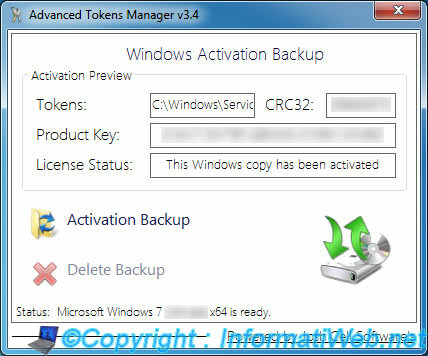 Backing up your Windows activation is located in a subfolder named "Windows Activation Backup".